Earlier, many embedded applications were developed using assembly level programming. However, they did not provide portability. This disadvantage was overcome by the advent of various high level languages like C, Pascal, and COBOL. However, it was the C language that got extensive acceptance for embedded systems, and it continues to do so. The C code written is more reliable, scalable, and portable; and in fact, much easier to understand. C language was developed by Dennis Ritchie in 1969. It is a collection of one or more functions, and every function is a collection of statements performing a specific task. C language is a middle-level language as it supports high-level applications and low-level applications. Before going into the details of embedded C programming, we should know about RAM memory organization. C language is a software designed with different keywords, data types, variables, constants, etc. Embedded C is a generic term given to a programming language written in C, which is associated with a particular hardware architecture. Embedded C is an extension to the C language with some additional header files. These header files may change from controller to controller. 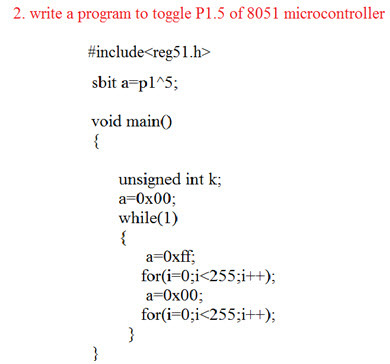 The microcontroller 8051 #include<reg51.h> is used. 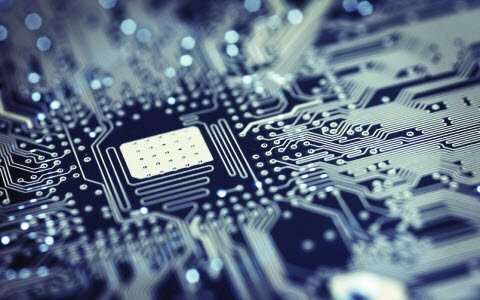 The embedded system designers must know about the hardware architecture to write programs. 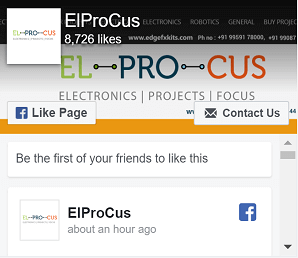 These programs play prominent role in monitoring and controlling external devices. They also directly operate and use the internal architecture of the microcontroller, such as interrupt handling, timers, serial communication and other available features. The data type refers to an extensive system for declaring variables of different types like integer, character, float, etc. The embedded C software uses four data types that are used to store data in the memory. The ‘char’ is used to store any single character; ‘int’ is used to store integer value, and ‘float’ is used to store any precision floating point value. The size and range of different data types on a 32-bit machine is given in the following table. The size and range may vary on machines with different word sizes. There are certain words that are reserved for doing specific tasks. These words are known as keywords. 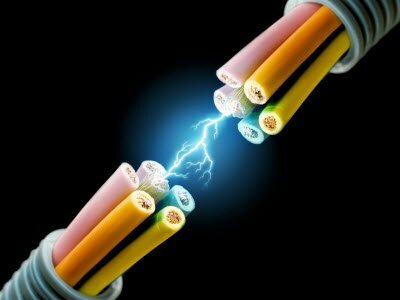 They are standard and predefined in the Embedded C.
sbit: This data type is used in case of accessing a single bit of SFR register. Bit: This data type is used for accessing the bit addressable memory of RAM (20h-2fh). SFR: This data type is used for accessing a SFR register by another name. All the SFR registers must be declared with capital letters. 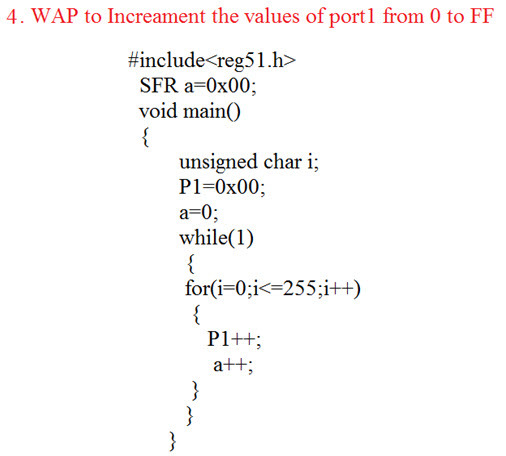 Explanation: If we assign 0x80 as ‘port0’, then we can use 0x80 instead of port0 anywhere in the program, which reduces the complexity of the program. SFR Register: The SFR stands for ‘Special Function Register’. Microcontroller 8051 has 256 bytes of RAM memory. This RAM is divided into two parts: the first part of 128 bytes is used for data storage, and the other of 128 bytes is used for SFR registers. All peripheral devices like I/O ports, timers and counters are stored in the SFR register, and each element has a unique address. Comments: In embedded C programming language, we can place comments in our code which helps the reader to understand the code easily. Preprocessor directives: All the functions of the embedded C software are included in the preprocessor library like “#includes<reg51.h>, #defines”. These functions are executed at the time of running the program. A global variable is a variable that is declared before the main function, and can be accessed on any function in the program. A local variable is a variable declared within a function, and it is valid only to be used within that function. The execution of a program starts with the main function. Every program uses only one main () function. Its takes less time to develop application program. It reduces complexity of the program. It is easy to verify and understand. It is portable in nature from one controller to another. 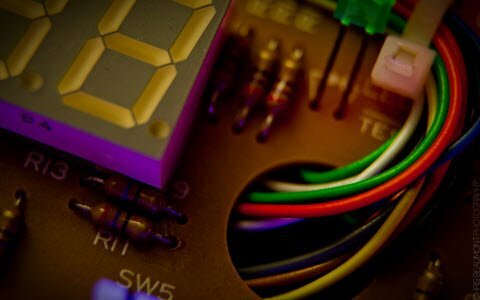 The following are a few simple Embedded C programs used for microcontroller-based projects. We hope that we have been successful in providing an easy and approachable way for the beginners of Embedded C programming. 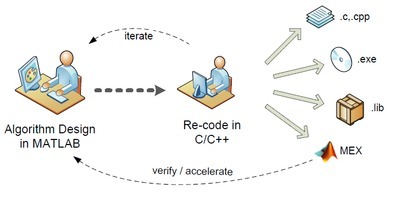 Better understanding of the Embedded C programming is the most essential prerequisite for designing embedded based projects. In addition to this, a better understanding and proper knowledge about embedded C programming help students immensely in the selection of a rewarding career. Hi, thanks for this useful information, but I have some doubts about the data-types size you’re showing. I guess they fit better with a 16 bit word machine, tell me if I’m wrong. And also with the keywords, are they specific for the 8051 processor?. Have a nice day and thank you in advance. its really a nice explanation for the beginners who are interested in embedded good work. Thanks for this nice and useful example. 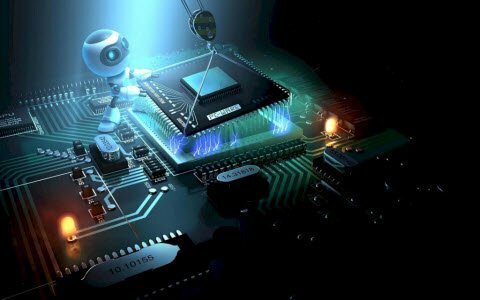 I think this is one of the best article for understanding embedded programming in easy way…………. 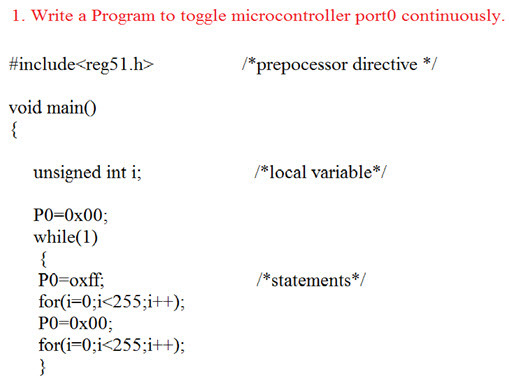 it’s nice article for understanding embedded programming in easy way…………. I wanna learn Embedded Systems Programming in C-Language. We are sorry to say that we do not have the exact project of your requirement. 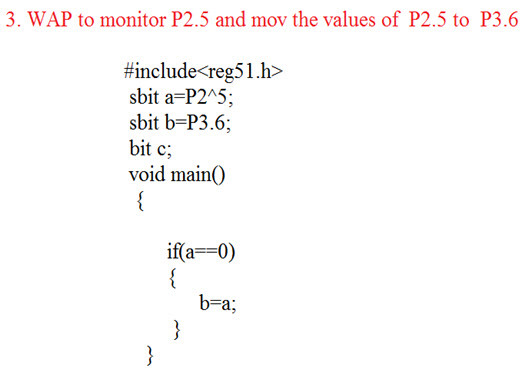 thanks ..buddy it really helps me…..
it’s really very useful info for the beginners of embedded C programming.. This is exact tutorial which i was looking for..!! 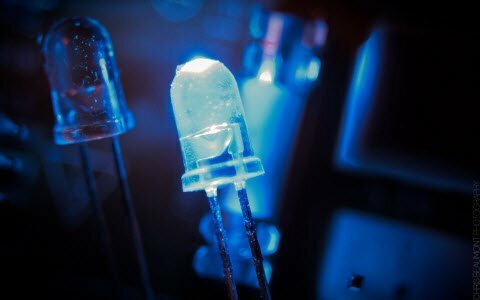 How to attach an IC to the computer for implementing the programme into the chip? can u plz suggest me embedded c code for lpc2148 microprocesser. We are very sorry to inform you that we can’t provide the circuit diagram, documentation, coding program part but, once you purchase the project we can provide. We are sorry to say that we can not provide the code and documentation unless you buy a project from us. really nice explanation….helpful to begginer…and i really appritiate you because u are not motivated by money for this stuff..